The sinking of the SS Muskogee. 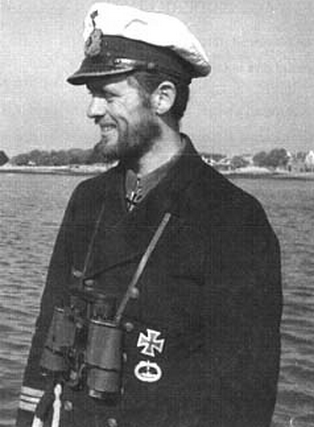 On March 22nd 1942, the commander in charge of a German U-boat, twenty eight year old Reinhard Hardegan, spotted an American oil tanker. It was its job to prevent America sending oil to Britain for the war effort. Slowly, he turned his submarine towards the ship. The ship was the SS Muskogee, a merchant ship that had been pressed into service to transport oil to war-stricken England. There were thirty four men on board and the tankers was captained by William Betts – and they were only too aware of the danger posed by patrolling German U-boats. 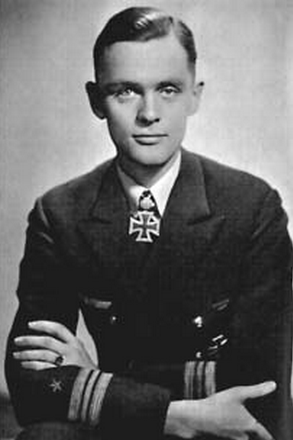 Aboard U-123 Reinhard Hardegan gave the order to fire. The mission was successful, the Muskogee was destroyed and the crew were never seen again. The captain of the Muskogee was a married man with a teenage son and when the son George grew up, he wanted to know what had happened to his father. It was ten years after the war when George found a reference in an obscure book claiming that his father’s ship had been destroyed by U-123. George had no vengeance in his heart – he understood that war was war – but he wanted to know what had happened to his father. Thirteen years passed by and George discovered from another book that the U-123 – and presumably its crew – had survived the war. He read more books,did more research and in 1978 he discovered that the Royal Navy had microfilmed copies of the U-boat’s log books and records. He purchased a copy, had it translated and finally knew what happened to his father. He discovered that when the ship was destroyed, his father was one of seven men who escaped into a lifeboat. The U-boat, now on the surface, approached. Hardegan asked them questions about their cargo, their destination and so on whilst a German reporter on board took photographs and took notes. The seven men asked Hardegan if they could become his prisoners and board U-123. U-boats had notoriously cramped quarters and Hardegan told them that there was simply no room. But he gave the men bottled water, rations and detailed instructions about how to get to the nearest land. But his humane efforts were in vain as the men were never seen again. 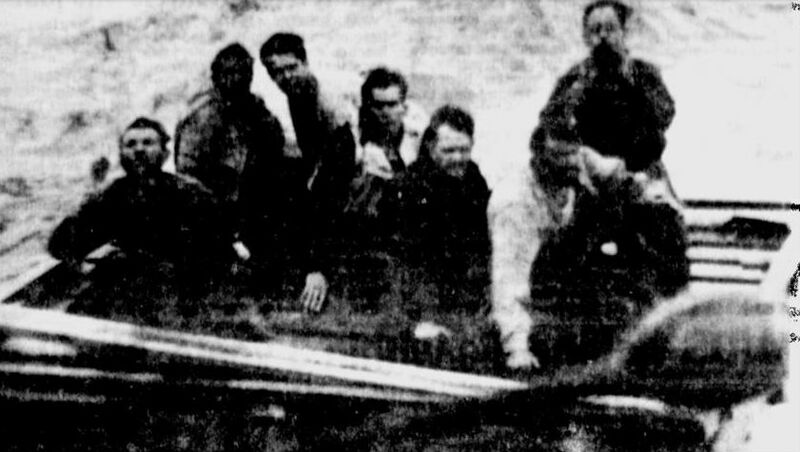 In addition, Hardegan included a photograph that he had kept – of George’s father and his colleagues in the life raft. The friendship between the two men continued by mail. Eventually Hardegan wrote to Betts and told him that he and his wife were about to visit Canada. Would Betts like to drive up and meet them? He agreed to do so. When Betts told a friend about this proposed meeting, his friend was horrified. He said “I would never be able to shake hands with the man who killed my father”. But Betts said “It was question of kill or be killed. I don’t hold anything against the man. 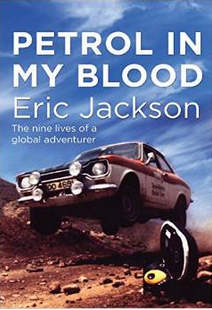 God know how many planes and tanks could have been fuelled by the oil tankers he sunk and used against his country”. 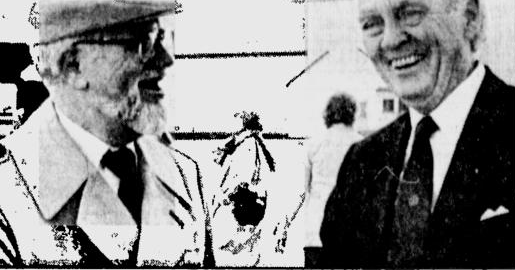 The two men met in Quebec in October 1987. Hardegan was seventy four. He had been warned by friends back in Germany that Betts was probably looking for revenge but he dismissed their theories. How did the meeting go? Well, doesn’t this photograph say it all? The man in the center of the seven is Claude Duval Blanchette of Beaumont, Texas. He was my mother’s first husband, and she identified him in the photograph. Fantastic to know that, Lawrence! Does your mother have any stories about him we can publish here? It’s such a fascinating subject. Thank you so much for the information. My mother died in 2011. She and Claude Blanchette were married for only a short time and their son, my half-brother, Claude Hall, was born after his father’s death. My father, Sgt. Hebo Hall, was with a tank destroyer battalion, was in the Battle of the Bulge, and was one of the first Americans into Orhdruf, a sub-camp of Dachau. All very rough for that generation.